Taking their place on grocer shelves over a decade ago, Saz’s three signature BBQ sauces – Original, Sassy and Vidalia Onion – will create limitless possibilities in your kitchen or on the grill.  DESCRIPTION: The same mild, sweet savory sauce used to bring out the flavor of Saz’s Award-Winning Barbecued Ribs, rated “Milwaukee’s Favorite” for nearly forty years. A perfect match for pork and baby back ribs, burgers and brats. Gluten-Free and made with real sugar. Does not contain Milk, Egg, Soy, Peanuts, Tree Nuts, Wheat, Fish or Shellfish. DESCRIPTION: Made with 7.59% Real Georgia Vidalia® Onions, this delicious sauce successfully blends the delicate, sweet flavor of the Vidalia® Onion into the world of barbecue. Gluten-Free made with real sugar. DESCRIPTION: Sassy Barbecue Sauce is Saz’s Original Barbecue Sauce with a touch of Jalapeño peppers. Complements chicken and turkey, pork or potatoes and is a great dip with chips, cheese or veggies. Gluten-Free made with real sugar. INGREDIENTS: Water, Sugar, Distilled Vinegar (Gluten Free), Tomato Paste, Brown Sugar, Modified Food Starch (Gluten Free), Salt, Jalapeno Peppers, Lemon Juice, Spices, Yeast Extract, Natural Smoke Flavor, Potassium Sorbate (preserves freshness), Garlic, Onion.